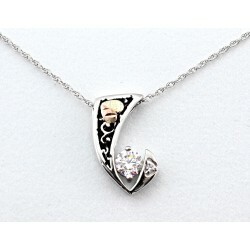 Pendant / Necklace There are 388 products. 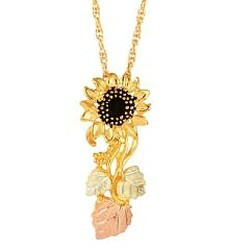 Black Hills Gold 10k sunflower pendant Black antiquing. 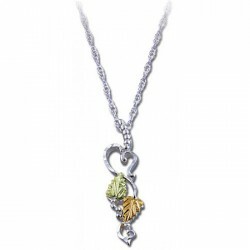 Decorated with 12K rose and green gold leaves Complimentary 20 inch gold filled chain is included Made in USAHandcrafted in the Black Hills of South Dakota. 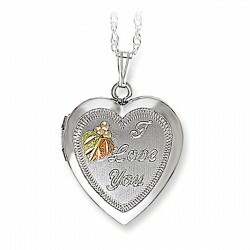 Comes in a gift box with a Certificate of Authenticity and a warranty card. 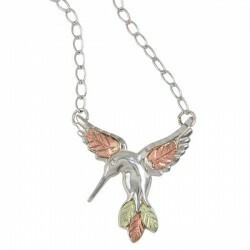 Sterling Silver Black Hills Pendant Decorated with 12K rose and green gold leaves Pendant measures approx. 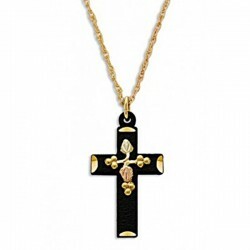 0.90 x 0.83 inches Comes with complimentary 18" Rhodium Plated Sterling Silver chain Made in USAHandcrafted in the Black Hills of South Dakota. 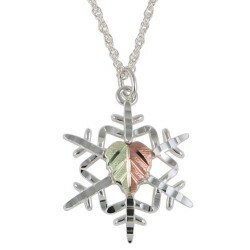 Comes in a gift box with a warranty card. 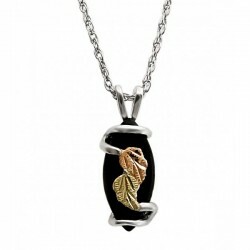 Sterling Silver Black Hills Pendant Decorated with 12K rose and green gold leaves Comes with complimentary 18" Rhodium Plated Sterling Silver chain Made in USALandstrom's Original Black Hills Gold Jewelry Handcrafted in the Black Hills of South Dakota. 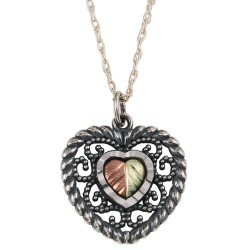 Comes in a gift box with a Certificate of Authenticity and a warranty card.